Dothan, A. "The 'Secret' in the Synagogue Inscription of 'En Gedi" Leshonenu 35, 1971: 211-217, (Hebrew). Dothan, M. "The Synagogue at Hammath-Tiberias" in Ancient Synagogues Revealed. ed. L.I. Levine, Jerusalem, 1981: 63-69. Dothan, M. Hammath Tiberias; Early Synagogues. Jerusalem, 1983. Dothan, M. Hammath Tiberias; The Late Synagogues. ed. B.L. Johnson, Jerusalem, 2000. Dothan, M. "The Synagogues at Hammath-Tiberias" Qadmoniot: A Journal for the Antiquities of Eretz-Israel and Bible Lands 4, 1968: 116-123, (Hebrew). Dray, Y. , Gonen, I. and Ben Dvid, "The Technical aspects of Umm el-Qanatir excavation" Michmanim 20, 2007: 61-66; 24*, (Hebrew; English abstract). Dunayevski, I. "Reconstruction (II) Ma'on" Louis M. Rabinowitz Fund Bulletin III, 1960: 22-23. Dunn, J.D.G. "Did Jesus Attend the Synagogue?" in Jesus and Archaeology. ed. J.H. Charlesworth, Michigan, 2006: 206-222. Edwards, D. "Khirbet Qana: From Jewish Village to Christian Pilgrim Site" in The Roman and Byzantine Near East. ed. J.H. Humphrey, Vol. 3, Journal of Roman Archaeology Supplementary Series 49, R.I., 2001: 101-132. Englard, Y. "The Eschatological Significance of the Zodiac Panels in the Mosaic Pavements of Ancient Synagogues in Israel" Cathedra 98, 2000: 33-48; 174, (Hebrew; English summary). Englard, Y. "Mosaics as midrash : the zodiacs of the ancient synagogues and the conflict between Judaism and Christianity" in Review of Rabbinic Judaism. ed. A. J. Avery-Peck and J. Neusner., 6;2-4, Leiden, Brill, 2003: 189-214. Erlich, A. "The patriarch and the emperor: the Elephant mosaic panel in the Huqoq synagogue reconsidered" Journal of Roman Archaeology 31, 2018: 542-559. Eshel, H. "A Fragmentary Hebrew Inscription of the Priestly Courses from Nazareth?" Tarbiz 61, 1991: 159-161, (Hebrew). Eshel, Y. , E., Netzer and Cassuto, D. And Let Them Make Me A Sanctuary. Synagogues from Ancient Times to the Present Day. Ariel, 2004, (Hebrew). Faßbeck, G. ""The Longer, the More Happiness I Derive from This Undertaking" James Simon Early German Research into Galilee's Ancient Synagogues" in Viewing Ancient Jewish Art and Archaeology VeHinnei Rachel - Essays in Honor of Rachel Hachlili. ed. A. Killebrew and G. Faßbeck, 172, Leiden, 2016: 101-120. Fiensy, D.A. and Strange, J.R. "The synagogues of Galilee" in Galilee in the Late Second Temple and Mishnaic Periods. ed. L.I. Levine, I, Minneapolis, Fortress Press, 2014: 129-150. Filson, F.V. "Ancient Greek Synagogue Inscriptions" Biblical Archaeologist 22;2, 1969: 41-46. Fine, S. "Did the Synagogue Replace the Temple?" Bible Review; 1996: 18-26; 41. Fine, S. "From Meeting House to Sacred Realm: Holiness and the Ancient Synagogue" in Sacred Realm. The Emergence of the Synagogue in the Ancient World. New York, 1996: 21-47. Fine, S. Sacred Realm. The Emergence of the Synagogue in the Ancient World. New York, 1996. Fine, S. This Holy Place. On the Sanctity of the Synagogue during the Greco-Roman Period. Notre Dame; Indinapolis, 1997. Fine, S. "Art and the Liturgical Context of the Sepphoris Synagogue Mosaic" in Galilee through the Centuries: Confluence of Cultures. ed. E.M. Meyers, Indiana, 1999: 227-237. Fine, S. "Iconoclasm and the Art of the Late Ancient Palestinian Synagogues" in From Dura to Sepphoris: Studies in Jewish Art and Society in Late Antiquity. Journal Roman Archaeology. ed. L. I. Levine and Z. Weiss, Supplement series No. 40, Portsmouth; Rhode Island, 2000: 183-194. Fine, S. "A Liturgical Interpretation of Ancient Synagogue Remains in Late Antique Palestine" in Continuity and Renewal: Jews and Judaism in Byzantine-Christian Palestine. ed. L. I. Levine, Jerusalem, 2004: 402-419, (Hebrew). Fine, S. "Spirituality and the art of the ancient synagogue" in Jewish Spirituality and Divine Law. ed. A. Mintz and L. Schiffman, 2005: 189- 212. 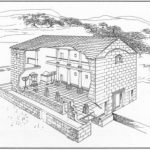 Fine, S. "Between liturgy and social history : priestly power in late antique Palestinian synagogues?" Journal of Jewish Studies 56;1, 2005: 01-09. Fine, S. "Epigraphical study in late antique Palestine : a second look" in Art; History; and the Historiography of Judaism in Roman Antiquity. Leiden, Brill, 2014: 123-137. Fine, S. "The Jewish Helios : a modest proposal regarding the sun god and the Zodiac on late antique synagogue mosaics" in Art; History; and the Historiography of Judaism in Roman Antiquity. Leiden, Brill, 2014: 161-180. Fine, S. "The Open Torah Ark" in Viewing Ancient Jewish Art and Archaeology: VeHinnei Rachel-Essays in Honor of Rachel Hachlili. ed. A. Killebrew and G. Faßbeck, Leiden, 2016: 121-134. Fine, S. "The emergence of the synagogue" Early Judaism 2018: 123-146. Fine, S. "Review of Karen Britt and Ra’anan S. Boustan, The Elephant Mosaic Panel in the Synagogue at Huqoq: Official Publication and Initial Interpretations. Portsmouth, RI: Journal of Roman Archaeology Supplementary Series no. 106, 2017. 8" Images 2018, : 1-3. Finkelstein, L. "The Origin of the Synagogue" in The Synagogue: Studies in Origins. : 3-13. Finney, P.C. "Orpheus-David: A Connection in Iconography Between Greco-Roman Judaism and Early Christianity?" Journal of Jewish Art 05, 1977-1978: 6-15. 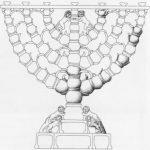 Fischer, M. "The Corinthian Capitals of the Capernaum Synagogue - A Late Roman Architectural Feature in Eretz-Israel" Eretz Israel 17, 1984: 305-311; 13*, (Hebrew; English summary). Fischer, M. "The Corinthian Capitals of the Capernaum Synagogue: A Revision" Levant 18, 1986: 131-142. 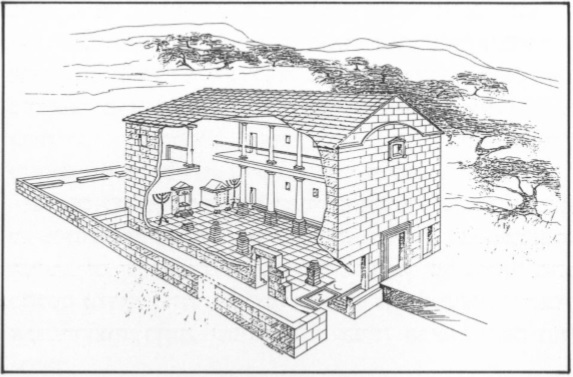 Fischer, M. "Remarks on the Architectural Design" in Meroth; The Ancient Jewish Village. ed. Z. Ilan and E. Damati, Tel Aviv, 1987: 168-175, (Hebrew). Fischer, M. "Notes to the architectural decoration" in Arbel- An Ancient Jewish Settlement in the Eastern Lower Galilee. ed. Z. Ilan and A. Izdarechet, Tel Aviv, 1988: 125-138, (Hebrew). Fischer, M. , Taxel, I. and Amit, D. "Rural Settlement in the Vicinity of Yavneh in the Byzantine Period: A Religio-Archaeological Perspective" BASOR 350, 2008: 7-35. Fishof, I. Written in the Stars. Art and Symbolism of the Zodiac. Cataloge No. 452, Jerusalem, The Israel Museum, 2001. Fleisher, E. "Regarding the (Priestly) Courses in Piyyutim" Sinai 62, 1968: 142-161, (Hebrew). Fleisher, E. "Additional Data Concerning the Twenty-four Priestly Orders" Tarbiz 55, 1986: 47-60, (Hebrew). Flesher, P. "Palestinian Synagogues before 70 C.E. : A Review of the Evidence" Approaches to Ancient Judaism 6, 1989: 67-81. Flesher, P.V.M. "Rereading the reredos: David Orpheus; and Messianism in the Dura Europos Synagogue" in Ancient Synagogues; Historical Analysis and Archaeological Discovery. ed. D. Urman and P.V.M. Flesher, Vol. 2, Leiden, 1995: 346-366. Flesher, P.V.M. "Palestinian Synagogues before 70 C.E. : A Review of the evidence" in Ancient Synagogues; Historical Analysis and Archaeological Discovery. ed. D. Urman and P.V.M. Flesher, Vol. 2, Leiden, 1995: 27-39. Flesher, P.V.M. "Prolegomenon to a theory of early synagogue development" in Judaism in Late Antiquity III; Where we Stand: issues and debates in Ancient Judaism. Vol. 4. The Special Problems of the Synagogue. ed. A.J. Avery-Peck and J. Neusner, Leiden, 2001: 121-153. Foerster, G. "The synagogues at Masada and Herodion" Journal of Jewish Art 03-04, 1977: 06-11.